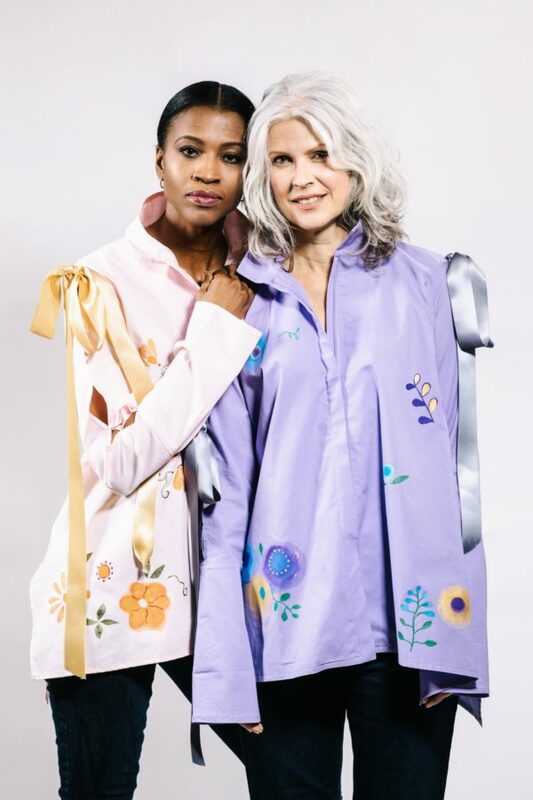 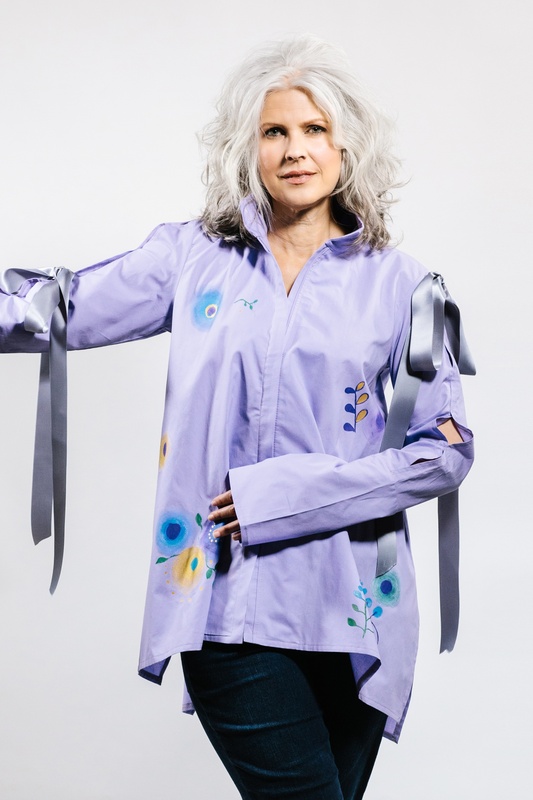 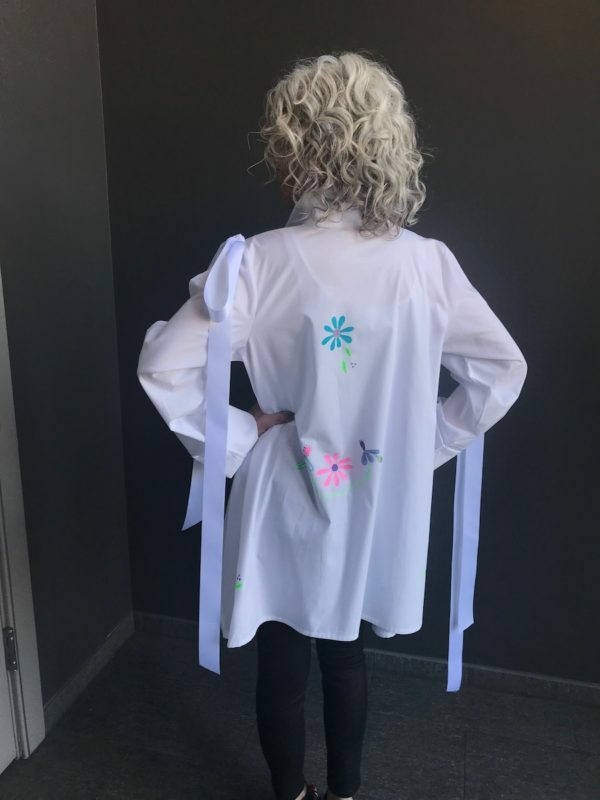 Hand-painted cotton blouses are one-of-a-kind, each one emulating the photo. 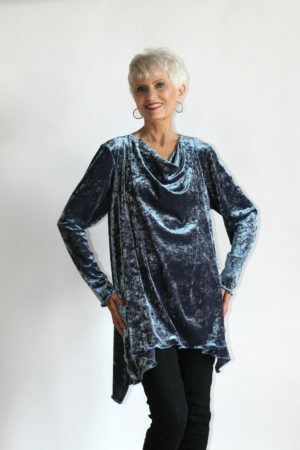 Fabric is 97% Cotton and 3% spandex for stretch and ease. 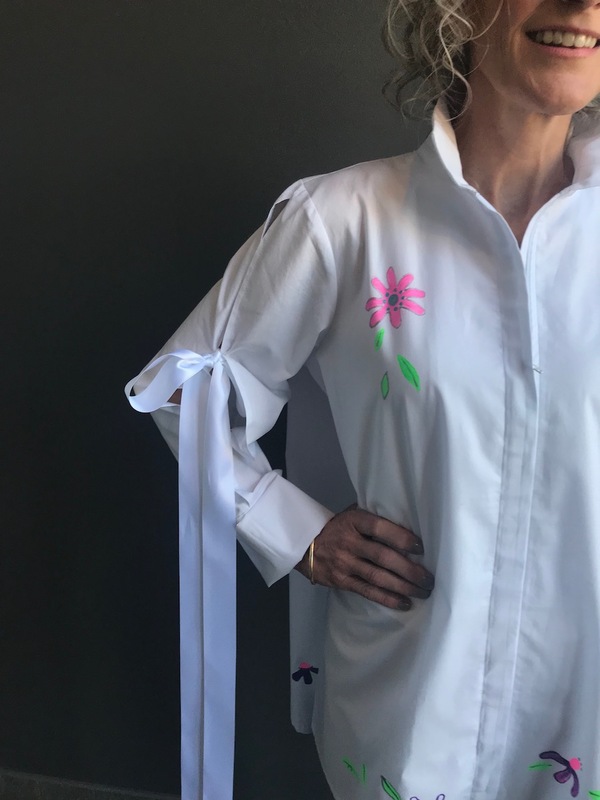 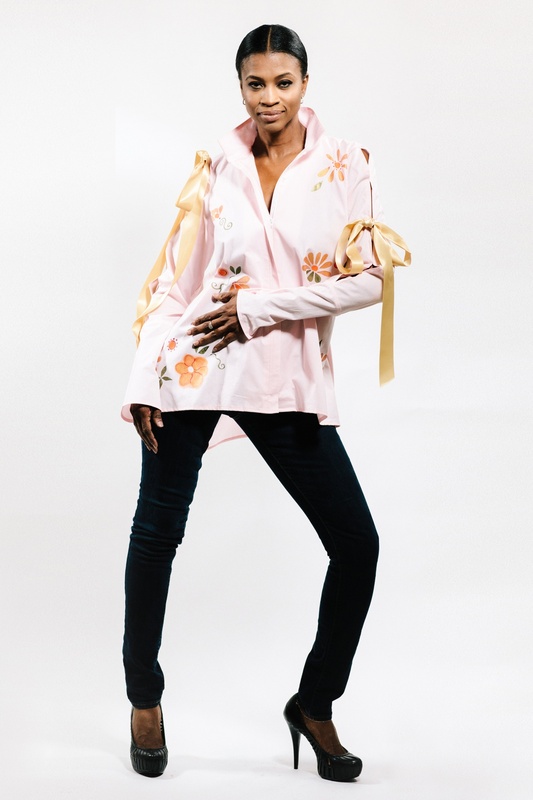 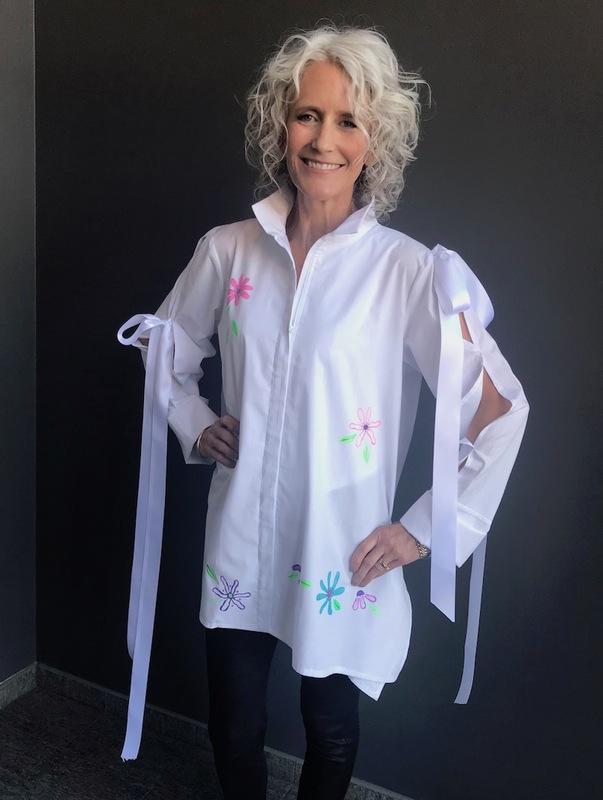 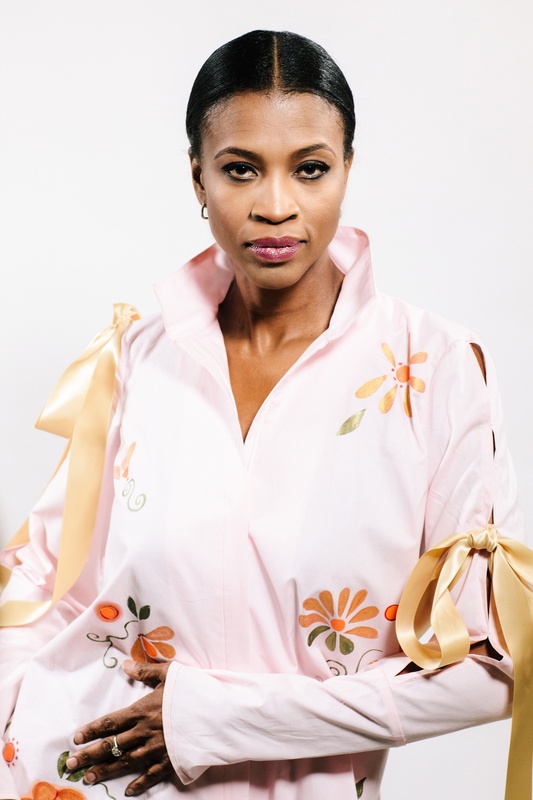 Cotton blouses come in 3 colors: white, pink or lavender. 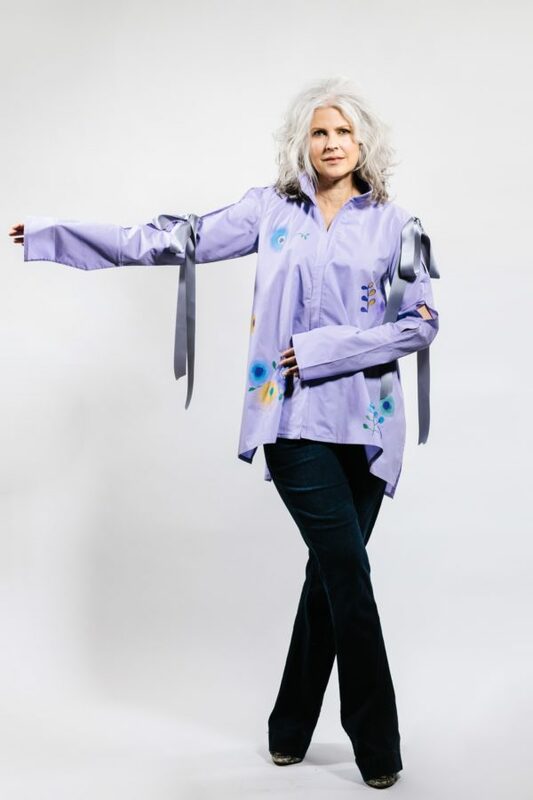 Dry clean or hand wash, hang to dry, touch up with iron if necessary.